This page illustrates a recommended upsell (TurboTax Live) to returning users who have questions or doubts about their ability to file their taxes on their own, due to life changes they've experienced throughout the year. Exploration | This page utilizes social proof to recommend a new service (Expert Services) to both new and returning customers, telling them to add it on to their current product/SKU. Exploration | This chart illustrates a comparison between last year's SKU and the benefits available by adding either an individual or family protection plan. Exploration | This chart illustrates a comparison between last year's SKU and the benefits available by adding on the Wealth Wise bundle (upsell). [SEO Copy] Protect your pet and home from fleas and ticks with regular use of flea & tick control products. 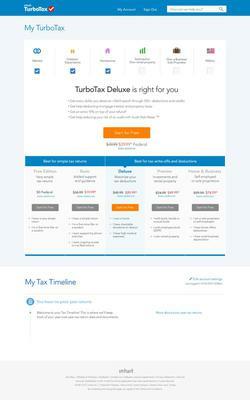 Soft Call-to-Action to upgrade to Basic version of TurboTax on TurboTax.com. 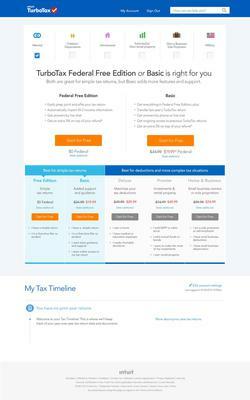 This page illustrates the benefits offered by the Basic version versus the FREE version to new users. Learn more about your Worksite Financial Solutions team. This is a demo site for plan sponsors to customize (prior to presenting to their plan participants) that links to Worksite Financial Solutions, which is a is a guidance-based, beginning-to-end retirement program that pulls all financial aspects of retirement into a single, manageable process. Getting Started Landing Page for Worksite Financial Solutions website. Sample: Direct Response CTAs and description of tools with embedded video. Career Changes Landing Page for Worksite Financial Solutions website. Sample: Direct Response CTAs and description of tools with embedded video. Investing Wisely Landing Page for Worksite Financial Solutions website. Sample: Direct Response CTAs and description of tools with embedded video. Financial Pathways Landing Page for Worksite Financial Solutions website. Sample: Direct Response CTAs and description of tools with embedded video. 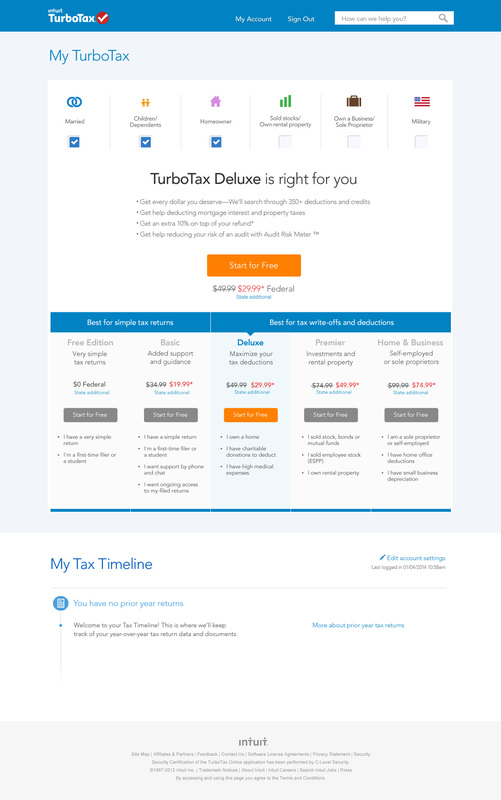 Strong Call-to-Action to upgrade to the Deluxe version of TurboTax on TurboTax.com to new users. 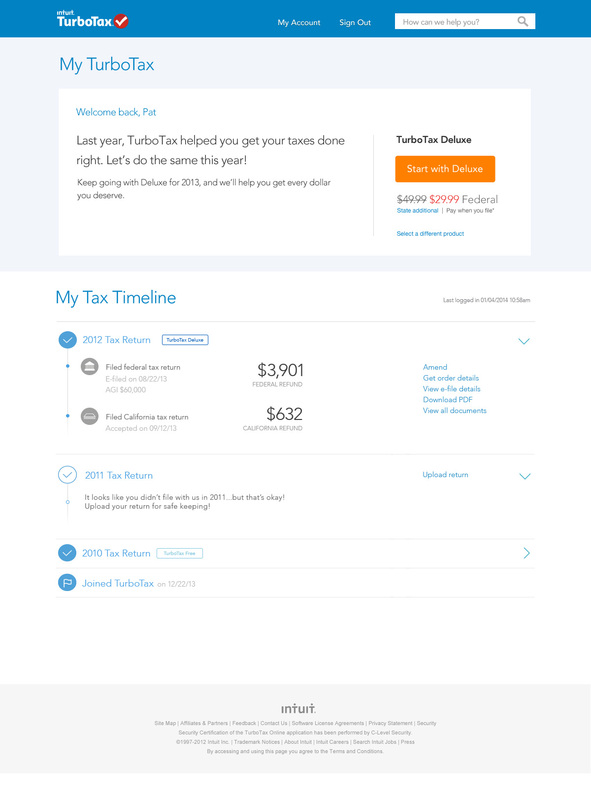 [Returning User Experience] This page is seen by returning users who used TurboTax.com to file their taxes the year prior who fit the requirements for using the Deluxe version of TurboTax on TurboTax.com. This page illustrates a strong Call-to-Action to subscribe to the Deluxe version. [SEO copy] Learn how you can utilize live rock as a natural method for maintaining the livelihood of your salt water aquarium.